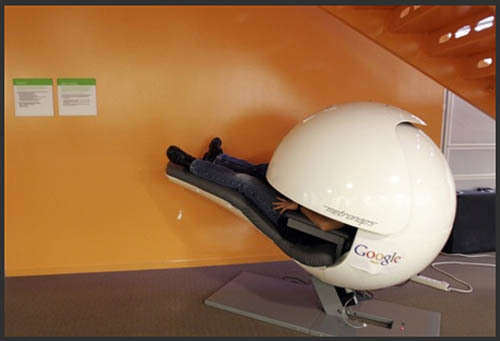 google provides these nap pods around their campus so workers can freshen up with a short nap. i vote that we get the same thing at work. my only requirement is that it muffle the snoring so people can get their work done.